Wholemeal, Wholewheat, Wholegrain Flour… Confused? Depending on the recipe you use, where you live and where you shop, flour can be named differently. In general, wholemeal, wholewheat and wholegrain flour all refer to unrefined flours i.e. flours which are made of the whole grain (including bran, germ and endosperm). Note that wholewheat refers to flour made from wheat, while the terms wholemeal and wholegrain can also refer to other varieties of grain e.g. rye, spelt or buckwheat. Wholewheat could therefore also be described as wholemeal made from 100% wheat. Refined (white) flours on the other hand only contain the endosperm of the grain (the bran and germ are removed) helping these flours to keep longer. However, by removing bran and germ, the flour also loses valuable nutritional components such as fiber, phytochemicals, vitamins and minerals. Brown flour uses a proportion of the whole grain, but usually not 100%. There are regulations in place (“The Bread and Flour Regulations 1998” in the UK for example) which specify that four vitamins and minerals must be added to all white and brown flour (not wholemeal) to ensure the population still has an adequate intake of these vitamins and minerals even if they chose not to eat wholemeal. The process is called flour enrichment. The added nutrients are calcium, iron, thiamine and niacin which occur naturally in wholemeal but are lost in white, and to a certain extent brown flour. 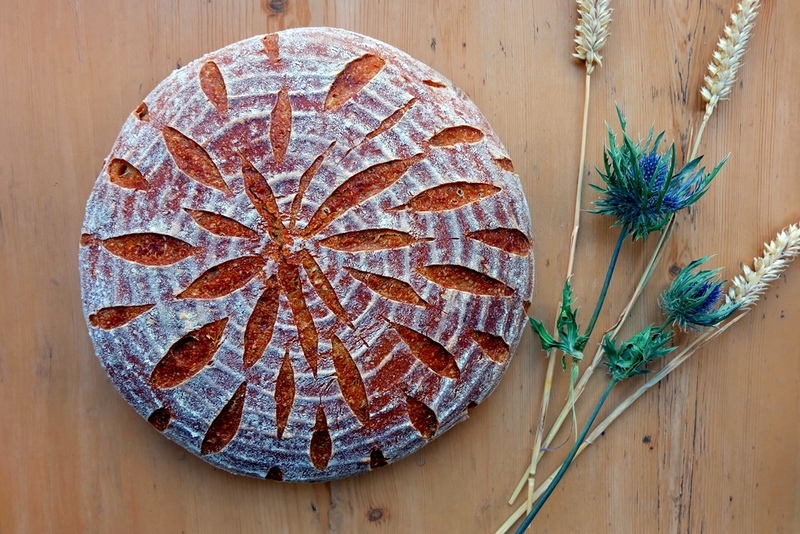 One key difference remains: refined flours are missing the dietary fibre of wholemeal. The term wholemeal is more commonly used in the UK, while wholewheat and wholegrain are terms more frequently used in the US. There are exceptions to this rule of course. 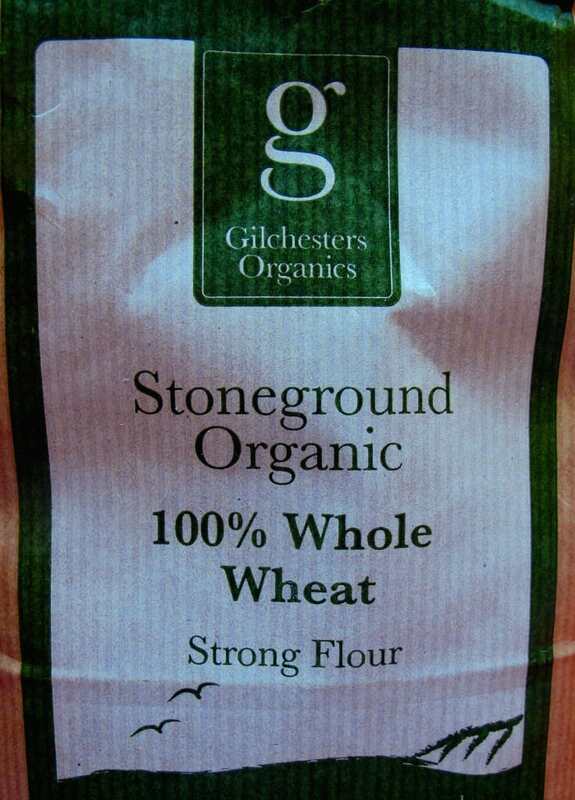 I frequently buy Gilchesters Organics wholewheat flour (produced in Northumberland in the UK). To make things more complicated (in the US in particular), you might come across white wholewheat flour. White wholewheat is made using whole white wheat grains while regular wholewheat is made from red wheat grains. White wheat is a type of wheat which has no major genes for bran color. White wholewheat is a lighter flour with a finer texture and milder flavour compared to regular wholewheat. Nutritionally, the two types of wheat are very similar. Note that due to the different climate/agronomy, the wheat varieties grown in the UK differ to the wheat types in the US.